This bird has the biggest bird-balls of all. He's mere feet away from Formula One cars at Albert Park and can't be bothered to stand anywhere else. He's either got the best seat at the Australian Grand Prix, the most dangerous seat, or both. Talk about bird-nerves of steel. 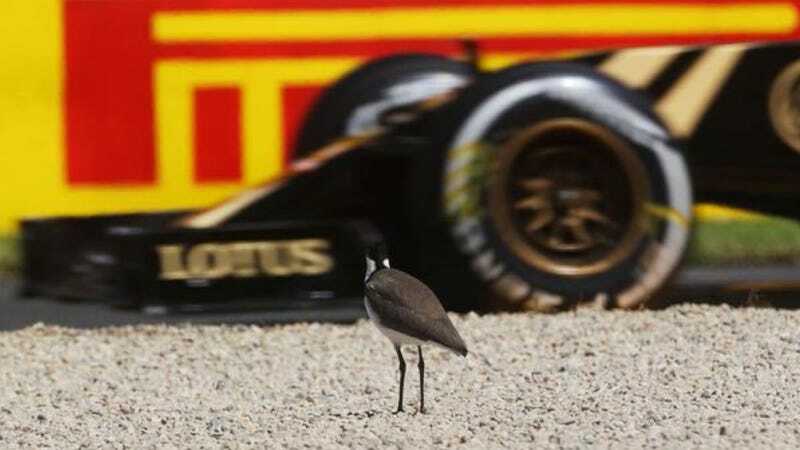 So far, the bird has been standing in this gravel trap for both practice days. Bird doesn't care. Bird stands where he wants. I fully expect to see this bird there all weekend. This is the bird's gravel trap. You're all just driving by it.